Harper keeping the boys in line. 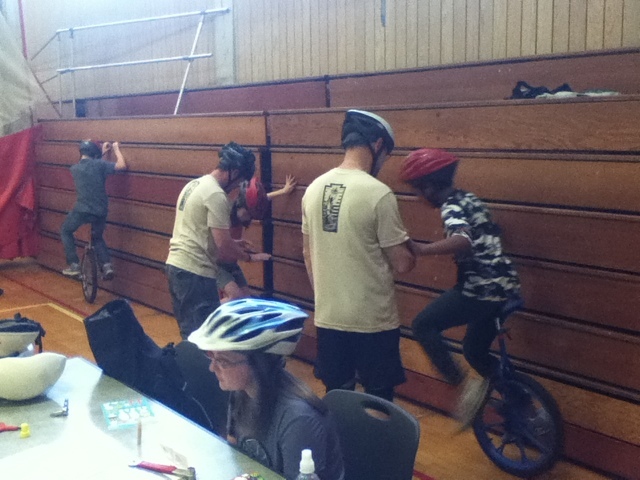 We had more help this year from our regular YMCA riders. 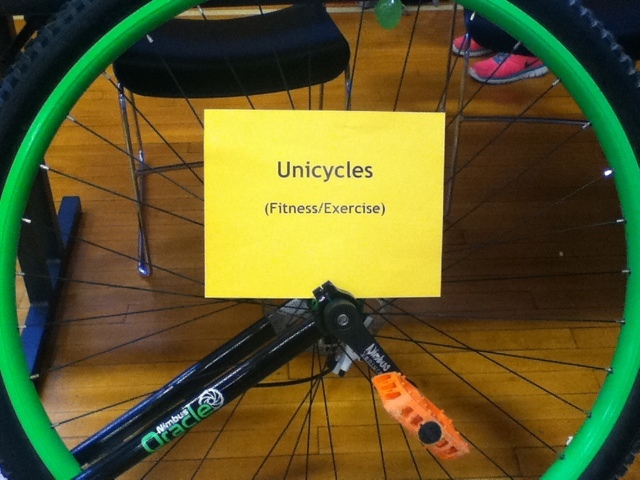 This was good as we had also had more interest in unicycling than ever before. 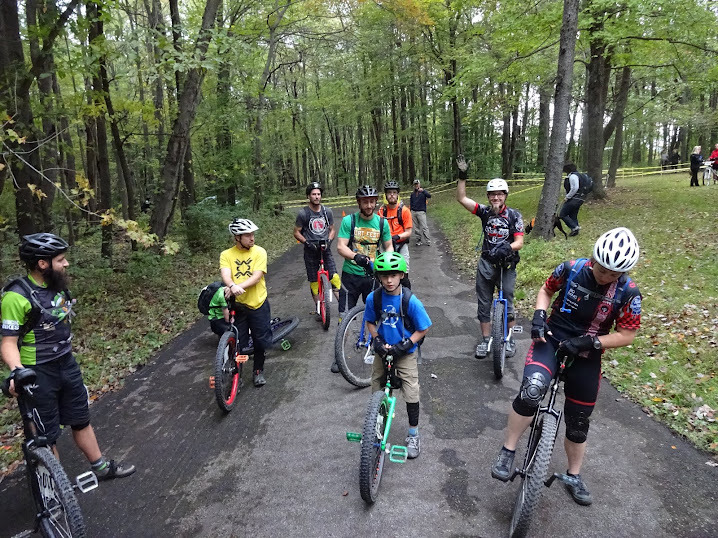 We did find a few prospective riders in the crowd. We also got to witness some boys who were sure they could hop on and ride away humbled when they found that it wasn't as easy as they thought. Darian rocking the matching tattoo. Don't worry, Mom. It will come off when she washes her hand- in 5 years. As usual, the whole experience was a great time for us. Many thanks to Adam, Christian, Darian, Dylan, Harper, Nate, Rick, and Steve for helping make it another successful public appearance for the Butler Wobble. Remember: the last indoor session of the season is TODAY! Don't dismay, we'll still be around. We'll resume indoor sessions in the Fall. 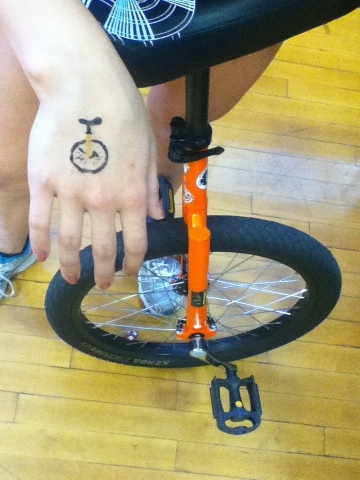 Many thanks to the Butler YMCA for making it another successful season of indoor unicycling!